It is impossible to think of a world where music does not exist. While it is considered one of the most expressive art forms, it is also the most universal language. 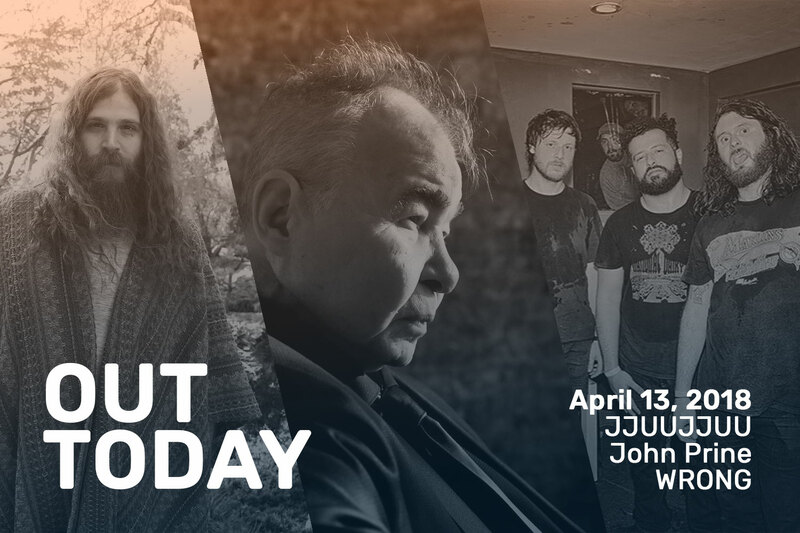 The German author Berthold Auerbach once said: “Music washes away from the soul the dust of everyday life.” Today, we present you folk tunes from the legendary John Prine, psychedelic rock from JJUUJJUU and alt metal from WRONG to cleanse your senses of the rust from your busy life. JJUUJJUU has finally served their highly anticipated booming debut album Zionic Mud via Dine Alone Records. The founder of JJUUJJUU, Phil Pirrone – who is also the man behind the iconic festival Desert Daze – has spent couple of years jamming and recording with his band and fellow collaborators Vinyl Williams, Mason Rotschild from Fever the Ghost and Jeffertitti before landing on this album. Zionic Mud is partnered with an additional release that harbors versions of the tracks reimagined by METZ, Liars and Jennylee from Warpaint. Take a listen to the title track below and check out Zionic Mud here. Miami noise rock quartet WRONG released their sophomore album Feel Great, out today via Relapse Records. The album, as the band likes to put it, is “faster, heavier, angrier yet also more melodic than their breakout debut.” The tracks are emphatically groovy and full of grit, which will surface all the madness that’s in you. The self produced album was recorded at various studios in Miami and the mixing was made by guitarist Ryan Haft. Watch the official video for the track “Culminate” below and dive into the album here. John Prine, an Americana storyteller that is about to complete 50 years in his musical career, is back with his first album of original material since 2005. The 71-year-old’s voice is more poignant than ever, and his new record The Tree of Forgiveness via Oh Boy Records strikes as a completely soothing experience for listeners. Recorded at the RCA Studio A in Nashville, the album has guest appearances from Brandi Carlile, Jason Isbell and Amanda Shires. Listen to the first single “Summer’s End” below and check out the full album here. That’s it for today, check back next week and keep listening!